The possibility, desirability, and potential outcomes of applying ethological methods to the study of culture-specific human behaviors are investigated. Ethology and culture are explored. A new term, “instruction,” and its use in cultural ethology are proposed. 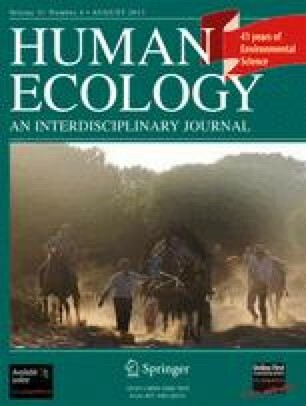 Genetics and survival value are related to cultural ethology. A cultural ethology is given a possible theoretical foundation, and current attempts at a cultural ethology are appraised. A research program in cultural ethology and related fields is proposed. This article is a completely rewritten version of a paper of the same title delivered at the annual meeting of the Southern Anthropological Society at Gainesville, Florida, in February 1968 and published inResearch Previews 15(1): 37–47, April 1968.